Pingu is a British-Swiss stop-motion clay animated children’s comedy television series created by Otmar Gutmann and produced from 1986 to 2000 for Swiss television by Trickfilmstudio and The Pygos Group. It centres on a family of anthropomorphic penguins who live at the South Pole. The main character is the family’s son and title character, Pingu. 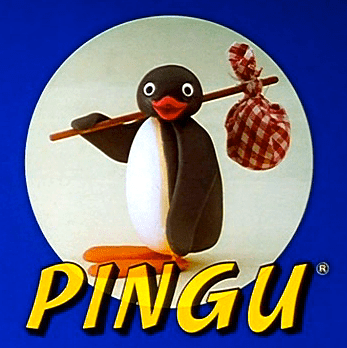 … One reason for Pingu‘s international success is its lack of real spoken language: nearly all dialogue is in an invented grammelot “penguin language” consisting of babbling, muttering, and his characteristic sporadic loud honking noise “Nug nug!” accompanied by turning his beak into a megaphone like shape. This noise is often incorrectly written as “Noot noot!” in popular culture. In style of voice retroscript was chosen, all voices performed by Carlo Bonomi, who created all the sound effects for the series. This feature enables people of different linguistic backgrounds to be able to follow the story. … The program is set in Antarctica and centres around penguin families living and working in igloos. The main character, Pingu, belongs to one such family. He frequently goes on adventures with his little sister, Pinga, and often gets into mischief with his best friend, Robby the Seal. Avian-related pingu- names. At least two. First, Pinguino portable air conditioners by De’Longhi; Pinguinos keep you cool. Pinguino is an Arduino-like [computer] board based on a PIC [brand] Microcontroller. The goal of this project is to build an integrated IDE [integrated development environment] easy to use on LINUX, WINDOWS and MAC OS X.
Fat-related pingu- names. First, a pinguecula, “a common type of conjunctival degeneration in the eye” (Wikipedia), characterized by a yellowish spot on the conjunctiva (Lat. pinguiculus ‘somewhat fat’ < pinguis ‘fat’). From this, pingueculitis ‘inflamed pinguecula’. Pinguicula, commonly known as the butterworts, is a genus of carnivorous plants that use sticky, glandular leaves to lure, trap, and digest insects in order to supplement the poor mineral nutrition they obtain from the environment. 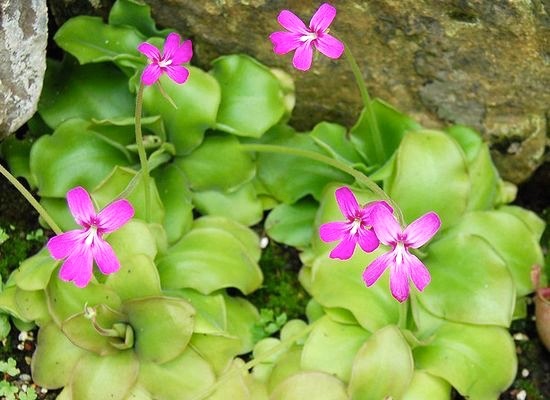 The name Pinguicula is derived from a term coined by Conrad Gesner, who in his 1561 work entitled Horti Germaniae commented on the glistening leaves: “propter pinguia et tenera folia…” (Latin pinguis, “fat”). The common name “butterwort” reflects this characteristic. 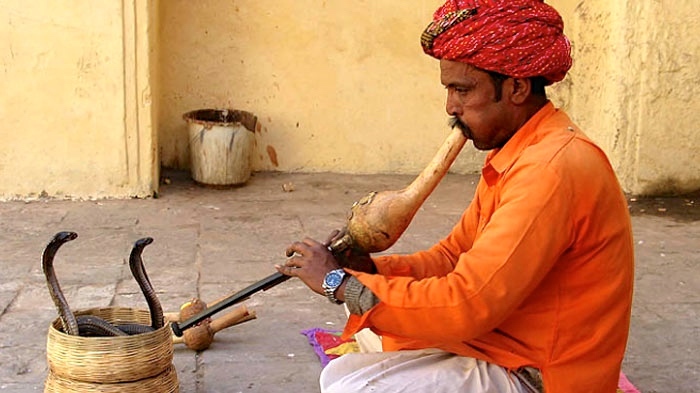 The pungi …, also called the been, is a wind instrument played by snake charmers in India and Pakistan. The instrument consists of a mouth-blown air reservoir made from a gourd, which channels air into two reedpipes. The pungi is played with no pauses, with the player employing circular breathing. The pungi originated in India and is still played by snake charmers in street performances. The pungi was originally developed as an Indian folk music instrument, and is still important for religious purposes and music in India. And you can watch a brief film of pungi-playing for dancers here. I had hoped to find an image of Pingu charming snakes — Pingu with a pungi — but no such luck. This entry was posted on October 21, 2016 at 12:26 pm and is filed under Collages, Language and plants, Language of medicine, Linguistics in the comics, Movies and tv, Music, Names, Penguins. You can follow any responses to this entry through the RSS 2.0 feed. You can leave a response, or trackback from your own site.